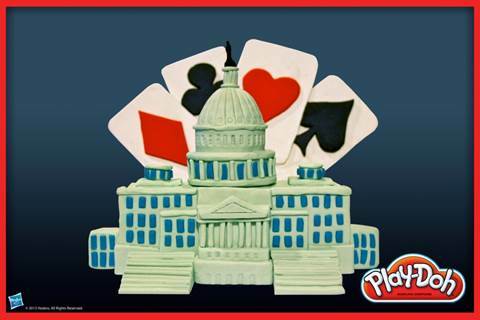 September 16th is National Play-Doh Day, a day to enjoy the fun colorful modeling compound in an effort to rediscover the creativity we all had as small children. Hasbro’s Play-Doh, which is composed of flour, water, salt, boric acid, and silicone oil, was originally manufactured as a putty-like wallpaper cleaner in the 1930s. Two decades later when it was discovered that a teacher was using the non-toxic, non-staining substance for arts and crafts projects the compound was reworked and sold to schools in Cincinnati. 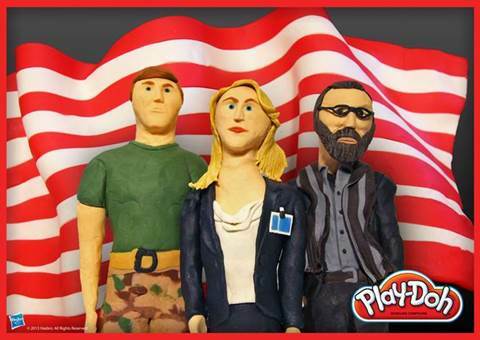 With great marketing campaigns and a natural appeal, Play-Doh quickly became a popular children’s toy. Over two billion cans were sold between 1955 and 2005 in over 75 countries around the world. My favorite way to celebrate Play-Doh Day is to sit down with my husband, kids and a few of our kid’s friends and create Play-Doh Sculptures. 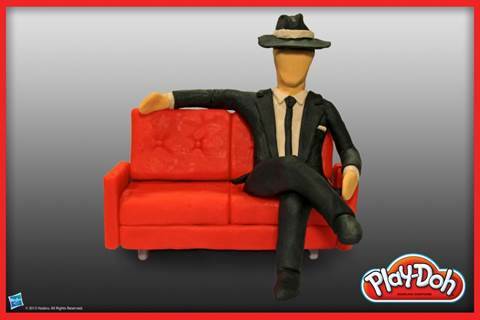 The Play-Doh Sculptures you see above are in honor of the 2013 Emmy Awards. Since I have an actor’s background (wish me luck on my “House of Cards” audition today), I thought I’d share them with you all! 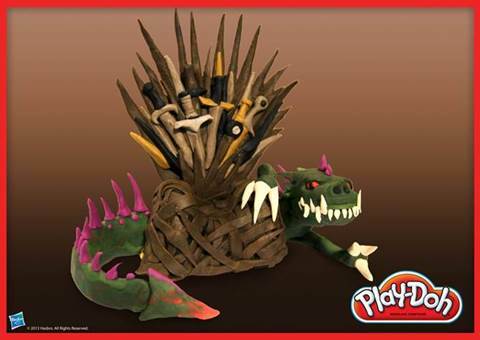 I’d also like to share some tips on how to create a Play-Doh Sculpture sure to last a long time. These sculptures make a perfect gift for the holidays. 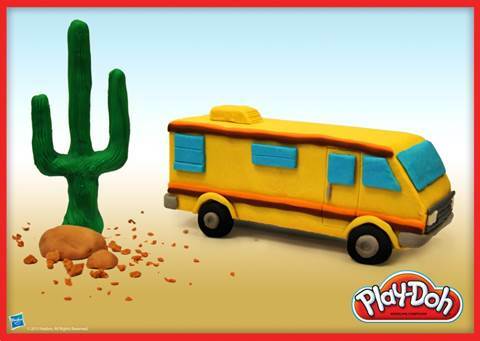 Allow your Play-Doh sculpture to air dry slowly. It may take several weeks for sculptures to dry fully–even longer for larger sculptures. 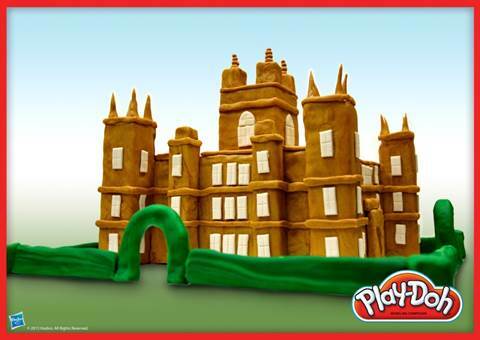 Do you have any memories about Play-Doh from your childhood or that you share with your children? Please share them in the Comments Below!